Jeremy Clarkson’s Top Gear co-hosts declined an offer to continue the rest of the series without him, according to reports. 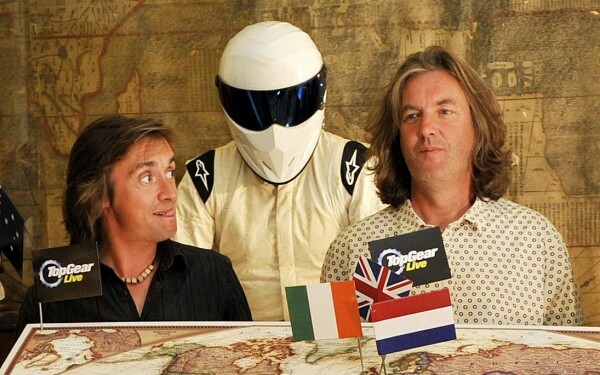 James May and Richard Hammond ‘didn’t want to do it without Jeremy’ a BBC executive reportedly said. An option to have the pair fronting the studio segments of the show for the remaining episodes of this series was rejected, the unnamed executive said. Clarkson was suspended after allegedly punching producer Oisin Tymon during a row – which took place after filming – over a hot meal at a hotel. The last episodes of the series have been postponed, causing the BBC to lose millions of viewers and receive thousands of complaints. Hosts May and Hammond have tweeted about their time off in recent days. Seriously, if you really are unemployed, good luck to you. It’s not funny in reality.